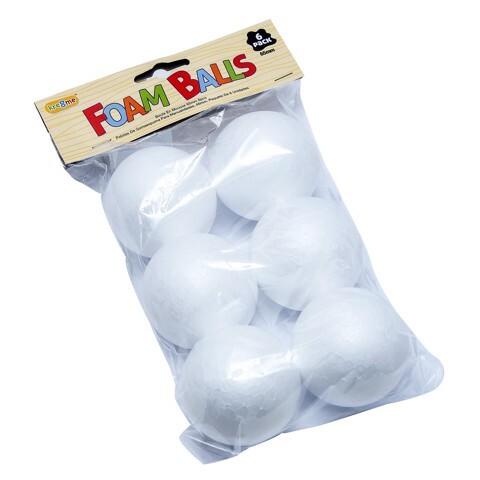 Craft Foam Balls 65Mm 6Pk. Diameter: 65mm. White. Polystyrene Foam. 0 Packaging: Polybag with Header Fold Over Backing Card.